We are in the heart of summertime, the absolute center of the season where maybe we all wish for that long-gone school calendar with entire weeks of do-nothingness ahead of us. Remember the vast amount of time? Remember how summer seemed absolutely endless? Well, let’s figure out how to get a bit of that back in our lives. 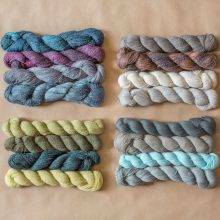 We’re launching the first-ever MDK Ease-along, a knitalong where the goal is to A) chill out, B) knit something beautiful, and C) see A. Our new Field Guide No. 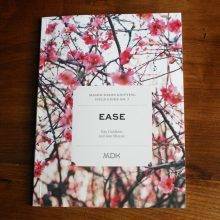 7: Ease is designed to lower the blood pressure, with projects that run the gamut from easy to astonishingly easy. 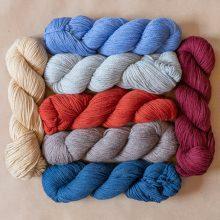 The Ease-along is a knitalong where you make whatever project you like from MDK Field Guide No. 7. 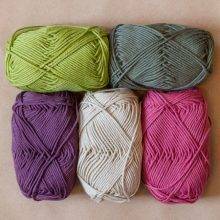 Use whatever yarn you like, adapt and mess with the pattern however you like. 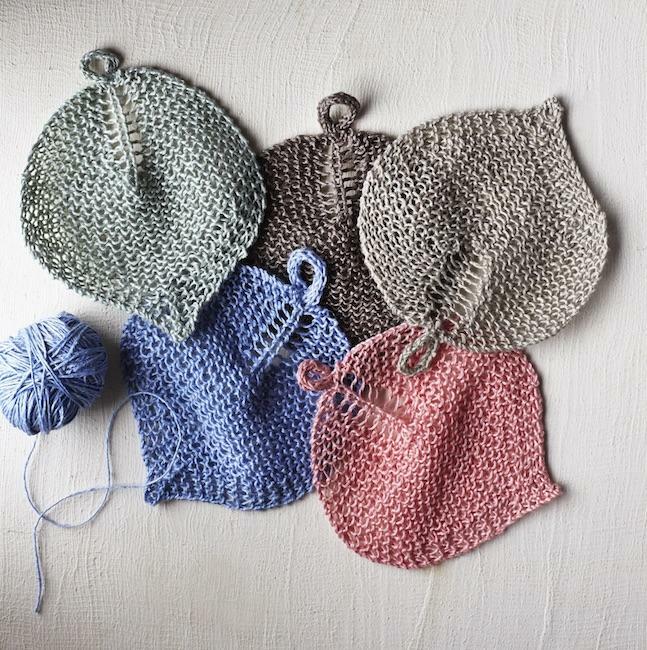 Make a stack of Bodhi Leaf Washcloths. Get your Picket Fence Afghan cooking, one little square at a time. 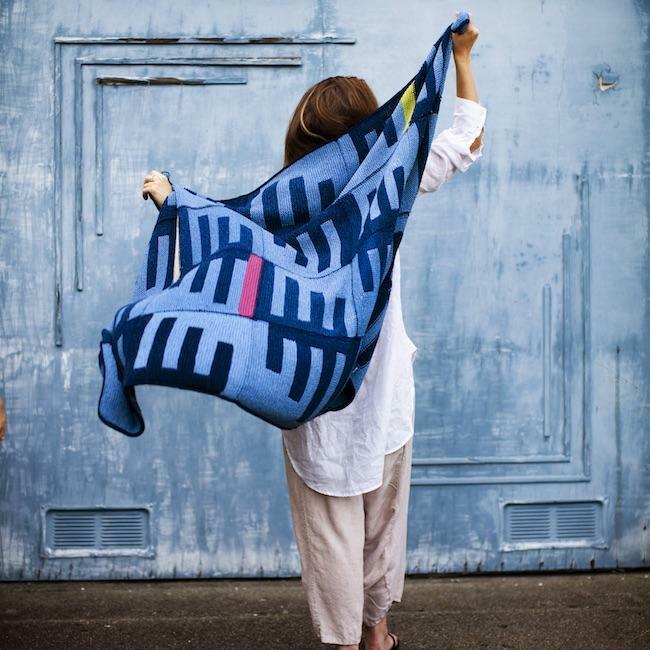 Make the Sea Breeze Cowl-Poncho and get your doodly-do criss-cross stitch on. 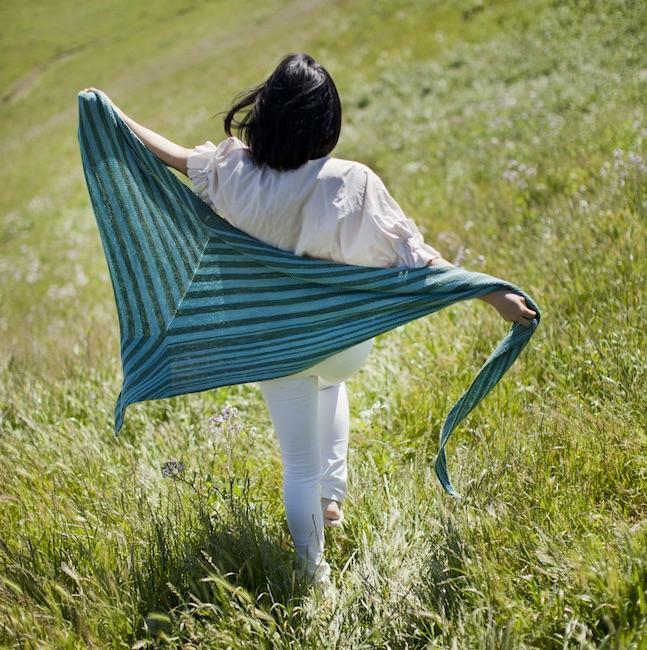 Make the Sail-Away Shawl, either big or small. It’s up to you. See? Isn’t that ease-y? We’ll be watching Instagram for knitters who are posting photos with the hashtag #MDKeasealong. Show us your work in progress. Show us the place where you’re finding some ease these days. Show us whatever refreshing and/or sustaining beverage you’re keeping beside you. Show us that plate of tomatoes you’re having for dinner. Basically, help us all get our ease on by showing us how you’re doing it! Also: part of ease is having a good laugh, so we welcome funny pix. Cat and dog pix will be particularly welcome. We’ll be sending out weekly prizes to the folks whose Instagram photos make us want to ditch work. We’ll be in the MDK Lounge discussing our projects, our quest for lassitude, and whatever else comes to mind. You’ll find us in the MDK Lounge at The Great MDK Ease-along. The only hard-and-fast deadline is the fact that we’ll be giving out prizes through Friday, August 24. We can’t wait to get our slack on. Please join us. PJs/athleisure optional. Get yourself our new Field Guide No. 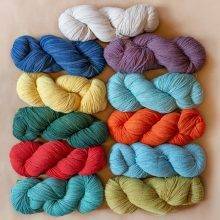 7, a pile of our beautiful yarns, and ease yourself into a dream summer. So…last weekend at the French Market was a woman selling handmade soaps shaped like frogs. Each frog came in box and was not only named, but had a short personality description as well. At the time I thought these precious guys would look perfect resting on a Bohdi Leaf Washcloth. Then I rethought it and decided it would be too kitschy. Now along comes this Ease-Along. So I have until tomorrow to decide whether or not to stop at the booth and adopt a frog or two or more. Pam, don’t “frog” the frogs! Please, please, please go back for the frogs! What a perfect pairing for a gift – for yourself or a loved one! I don’t think it’s kitschy at all. I’m with you! Not kitschy! The universe provided the frogs for the Bodhi leaves! Where is this French Market?! The French Market is in Wheaton, IL. It us a fabulous way to spend a Saturday morning. I’ll be there this morning, hopefully so will the frogs. Does the woman at the French Market have a business card? If so, would you mind asking her if you can share it or her info if she does orders? I need these frogs in my life! The company is Waterfall Glen Soap Company, LLC. They are based in Palatine, IL. They have a website: waterfallglennsoap.com. Yesterday I took 4 frogs home with me, 2 named Katia, a Nathan, and a Timothy. They are adorable. Now time to cast on the washcloth. Watching the Bodhi Leaf emerge on/from my needles is so much fun!! I’m in! On square 2 of my picket fence blanket. I love this!!! I’ll be making some Bohdi Leaf washcloths with some leftover linen that I have in my stash!!! Can’t wait to cast on, even though I have 2 other projects on needles! Only two??!! Get busy, girl! Awwww. I want to wrap my arms around you a give a big hug of thanks. Maybe we all need more encouragement to relax more/knit more as opposed to hiding my stash and furtively getting in a little knitting. Sounds perfect! And I want every project. But I am sworn to my gift knitting or UFOs for the summer. But maybe The Lounge & Insta will change all that….. devil/angel, again! Execpt rhe devil isn’t bad, it’s just new knitting. 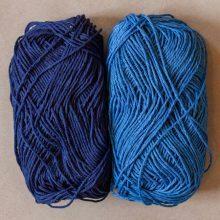 Possibly requiring new yarn……. hmmmm…..
Hey, what about the crochet folks? Perfect timing! Yesterday was (a) my birthday and (b) stinkin’ hot, so I gave myself the new Field Guide and will now hunt up some yarn to get started on slowing down. My birthday too! Happy 5th! I have been knitting quite a few of the Bodhi leaf wash cloths. Fun using linen stash of this and that and I adore this pattern. After one leaf no need to look at the pattern. Just easy knitting. Actually, later in life, you get those summer breaks back year round in retirement…..enjoying the heck out of it. Ahh, I am starting to feel relaxed already. This is not a tough sell! I have 3 of the 4 ease patterns in my queue so joining in on the mall is a no brainer. I loved MDK patterns when I first started knitting and I still love them now! Is anyone else having trouble getting going on the Sail-Away shawl? I can’t get the stitch count for Section 1 to come out right. E.g., Row 1 and 2 add 5 stitches (one garter ridge) to the 9 sts after the two setup rows. So we have a total of 14 sts. Repeating rows 1 and 2 9 times (9 garter ridges=45 sts plus the 14) is a total of 59 (not 54). Then two more garter ridges for B=69 (not 64). Add the 315 sts gained for the stripe sequence and the total is now 383 (not the 389 it should be. Whew! What am I doing wrong? I sure hate to give up on this lovely shawl. Thank you so much for writing, Lisa. You are correct–there are problems with the stitch count. We are so sorry you had trouble with this pattern! Here are the corrections you’ll need to make your shawl. Corrections are in bold. On page 16, under Shawl Only, the first paragraph should read “Continuing in B, work Rows 1 and 2 twice—394 sts. Again, many thanks for taking the time to check in. We appreciate it so much.